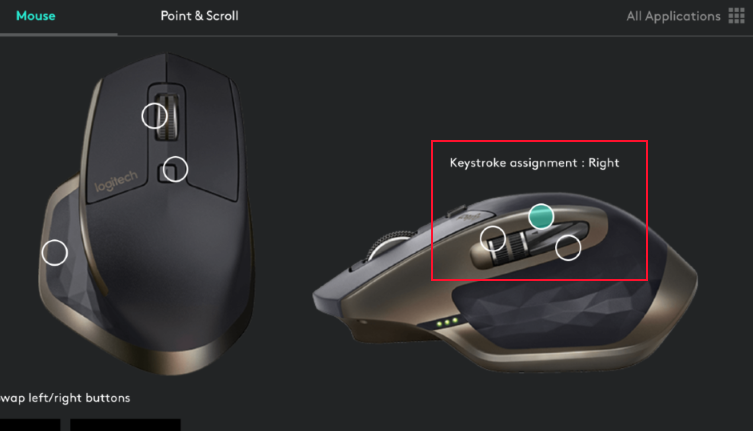 I am unable to use back and forward buttons on a mouse with additional buttons in Windows virtual machine. They do not work in any browser or Windows File Explorer, however they work fine on the Mac side. 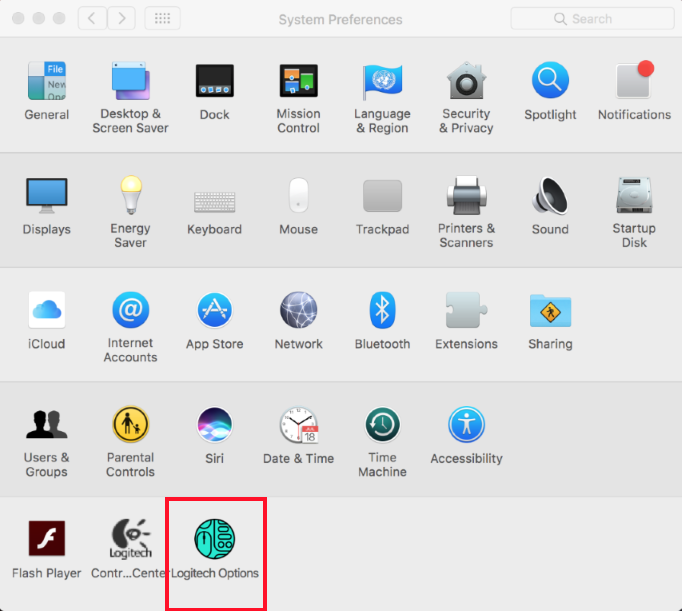 It is required to install a native mouse application on the Mac and customize back and forward buttons based on preferable Windows actions. NOTE: In Parallels Desktop it is only possible to use keyboard actions like Back and Forward, but not media actions (e.g. Advanced click, App Expose, Brightness Up/Down) which will not be accessible in Windows. 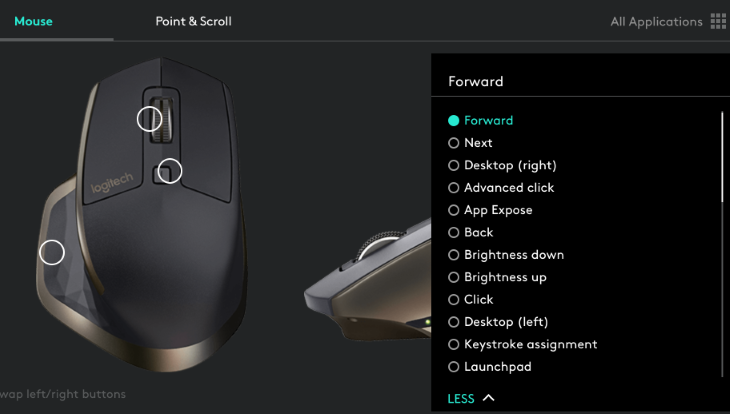 Download and launch the native mouse application on your Mac (in this case it is Logitech Options). 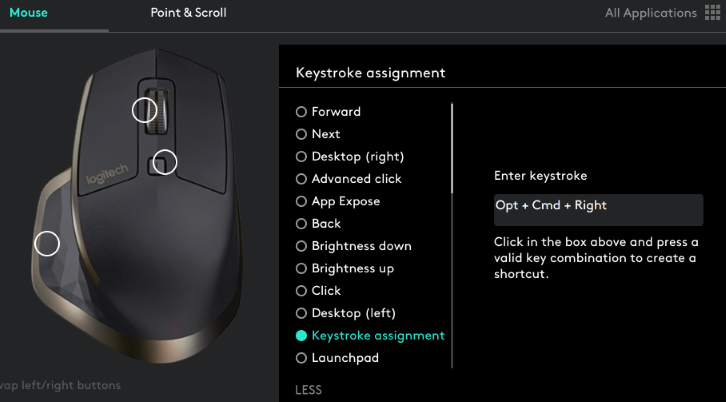 Choose Forward for one of the buttons > scroll down until you find Keystroke assignment option. Click it, then hit Option (Alt) + Cmd (Win) + right arrow buttons at the same time on your keyboard to create a shortcut. Do likewise with Back button and left arrow. .